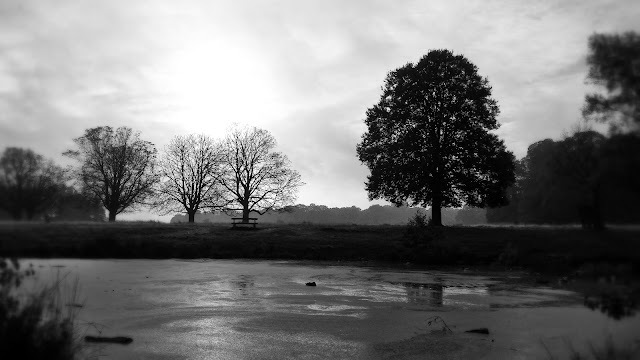 With a total coverage of 2.500 acres, Richmond park is the largest of the Royal Parks and also lays claim to being the largest city park in the whole of Europe. 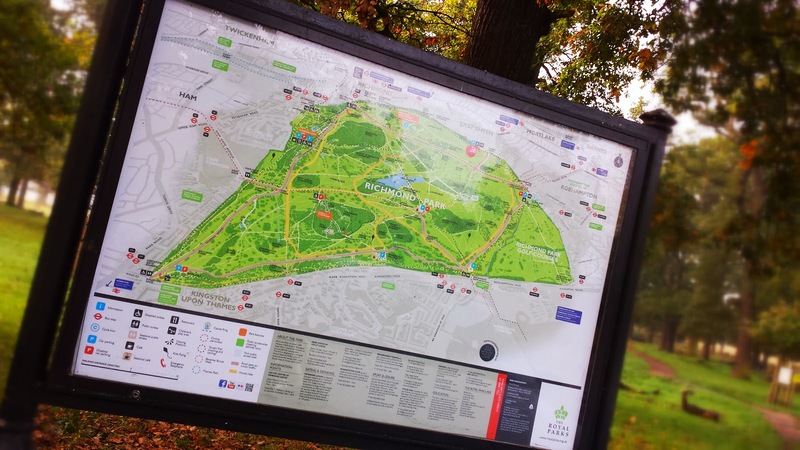 It has been a Royal Park since the 15th century and in 1637 became home to 2,000 deer when they were introduced by King Charles I for hunting purposes. To ensure they did not wander, he had an 8 mile long brick wall built which is still going strong almost 400 years later. Over the years, the deer have shaped the landscape which is now less wooded than it would otherwise have been. Other than that, it has largely remained the same for centuries, and maps made in Victorian times would still make sense to this day. On 20 October 2007, Richmond Park became home to the 5th parkrun venue. 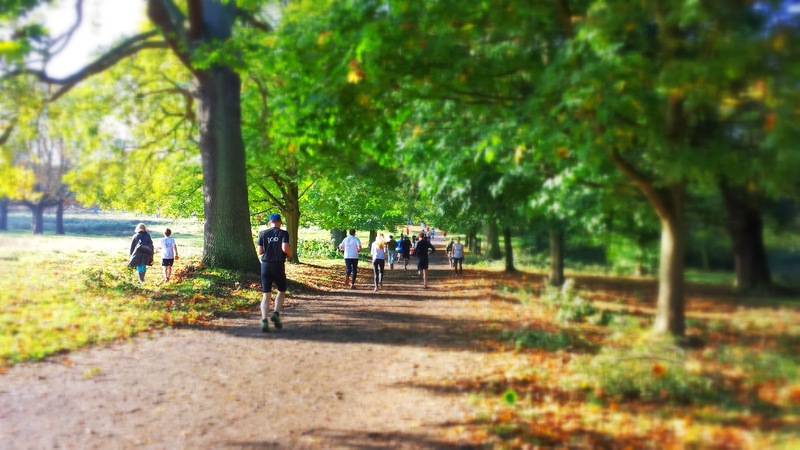 On that day 42 runners took part in Richmond parkrun's inaugural event. Over the six years since then, that number has steadily grown and as of November 2013 the run attracts around 300 runners every week (341 on the day I visited). As the ladies decided to accompany me this week, we drove to this venue. Upon arrival we parked in the Sheen Gate car park - which is currently free-of-charge. It was at this point that I had to decide which shoes to wear for the run - road shoes would have been fine, but I went for my trail shoes just in case. From this car park it's a fair old trot over to the start area, but that was good for me as it allowed me to take some photos and have a little warm-up. The Pembrooke Lodge car park is slightly closer but is more popular. Arrival by train or tube would be best via Richmond station, but again it is a fairly long walk (uphill) so leave plenty of time. My preferred method of travel would have been bicycle, but it wasn't an option this week - If I had taken it I probably would have left it at the start/finish area, there are bike racks dotted around but as far as I could see, not in any great number. 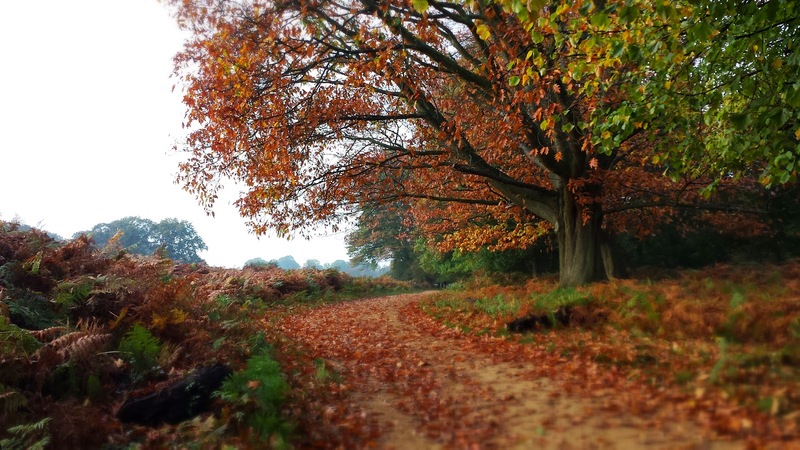 Do not secure your bike to a tree - the park wardens do not want the trees to be damaged. There closest toilets to the start/finish areas are near the Richmond Gate entrance, but there are plenty of others which are located fairly close to all of the main vehicle entry points. I checked out the Sheen Gate toilets and despite the hand dryer not working, I found them to be quite pleasant. 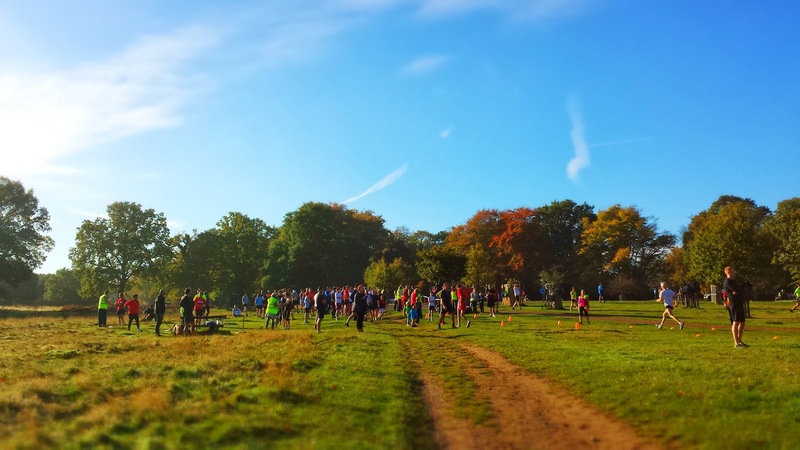 Now, due to the vast size of Richmond park, you can't just turn up a wing it like you can at smaller parks - you really need to know exactly what part of the park to head for before you leave home - parking on the wrong side of the park could leave you with at least a 5km walk or run just to reach the start line. 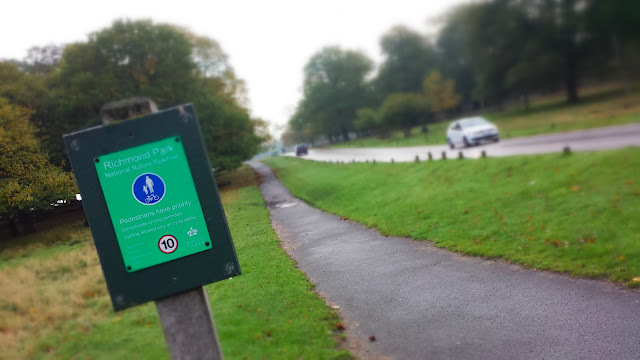 In fact, if you were to park in the car park at the Kingston Gate you would be closer to the start line of Kingston parkrun and if you parked in the car park at Robin Hood Gate you'd be closer to Wimbledon parkrun! Runners assemble just next to Richmond Gate and after the briefing, are lead across to Bishops Pond which is where the run starts. From here the runners set off on a single anti-clockwise lap (and-a-bit) of the Northern portion of the park. 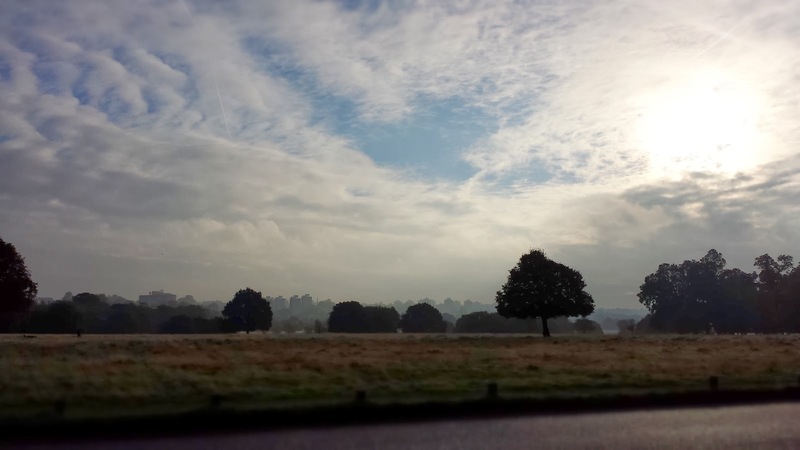 If you've ever been to Richmond park before you will know that it is a vast area of undulating goodness! 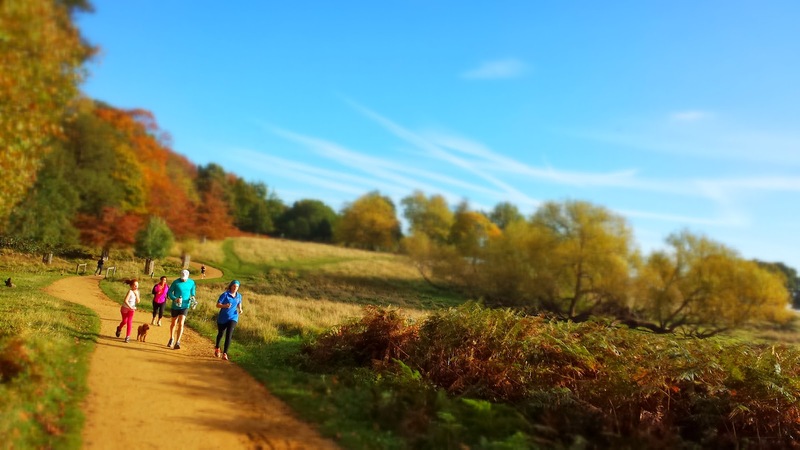 This is definitely a run of two-halves - After a short uphill start running towards Richmond Gate, runners soon turn left and once over the crest of the hill, find themselves with a long downhill stretch on tarmac which lasts for the entire length of Sawyer's Hill. 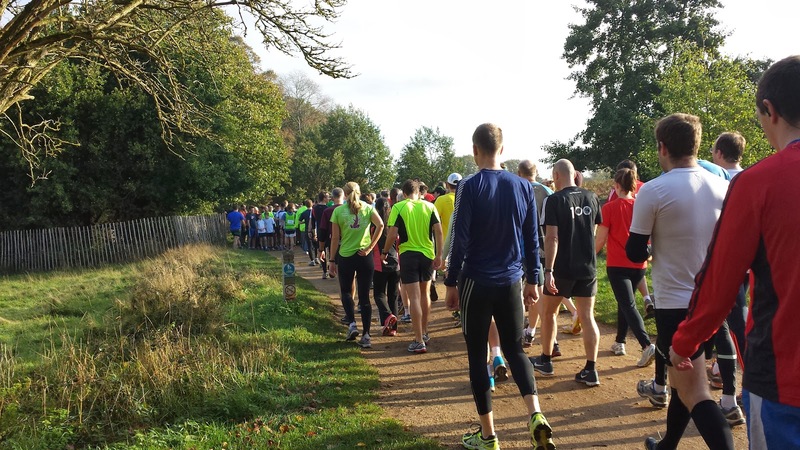 About half-way along this section there is something unusual to the world of parkrun - a road to cross - luckily it is only an access road to Holly Lodge and doesn't appear be a problem. Still the runners continue their downward journey. Next passing Two Storm Wood and finally arriving at the bottom of the hill, where they reach Sheen Cross (there's a roundabout for the traffic). It is here that you find out if you saved enough energy for part two of the run - The uphill section! 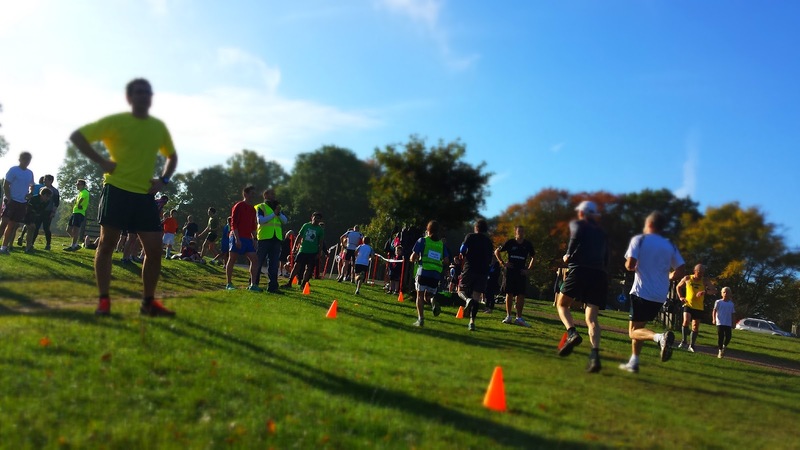 Turning left just before the roundabout, runners leave the tarmac path and run along grass towards Sheen Gate. 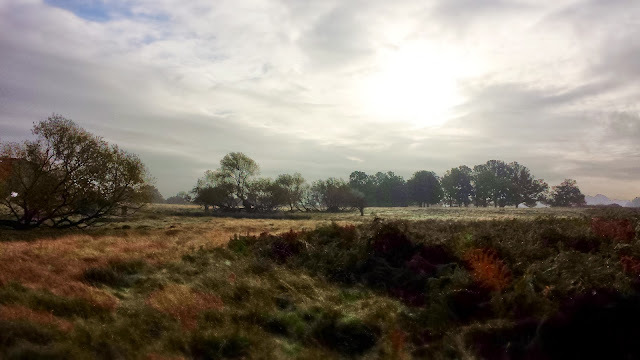 Up until this point, the run has been through fairly open grasslands, but now, as the course bears left again and joins the loose gravely surface of the Tamsin Trail, it passes the Sheen Gate car park and enters Sheen Wood. Emerging a few hundred metres later, the path has more woodland to the right, and to the left a stunning views over the open grasslands to the south. The rest of the course continues generally uphill, but with occasional undulations and one quite steep downhill. Along this section, the path meanders and every now and then dives in and out of the wooded areas until the runners finally emerge back at Bishops Pond. From here it is a case of following the path back up (it feels a little steeper second time around) to the Richmond Gate entrance where a perfectly formed finish funnel and cheering volunteers await! 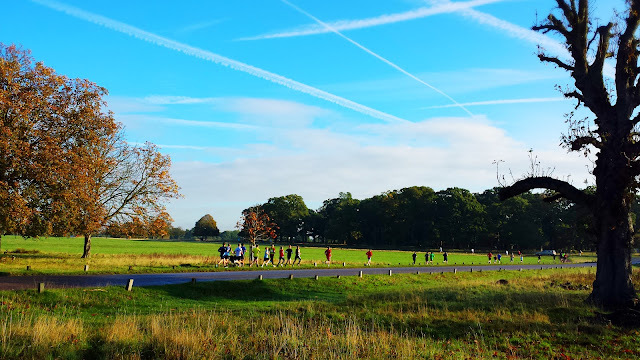 The route is so easy to follow that there were absolutely no marshals required out on the course to direct the runners - which is quite a clever way of planning parkrun courses if you think about it. 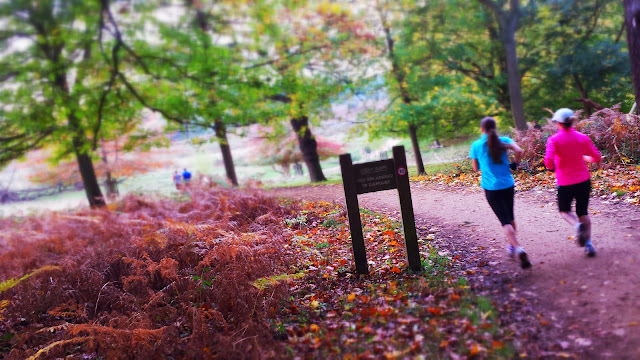 Although it might sound like the course is quite hilly, I wouldn't go as far as labelling it as such. 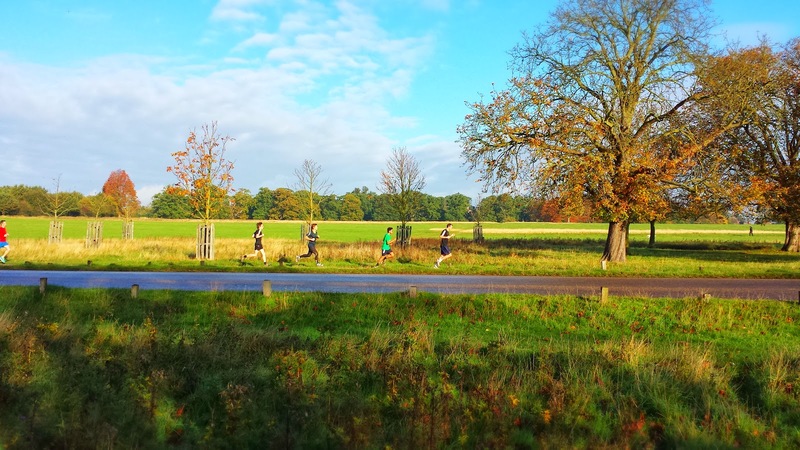 It would be true to say that there's not really much flat running going on, but I found most of the inclines to be quite manageable - I was probably about 30-40 seconds off my current flat course pace. I'm going to label it as undulating. So, did it live up to its Facebook description? Well, it certainly is extremely beautiful and while not THE toughest, it is indeed challenging. The volunteers were friendly... and although I didn't spot any deer, the wife did while she was exploring the park with with our daughter. I couldn't possibly comment on whether it is THE most beautiful course but you'd have to find somewhere incredibly special to beat it!